Straight or elastic, 6 tether models including one Child size. 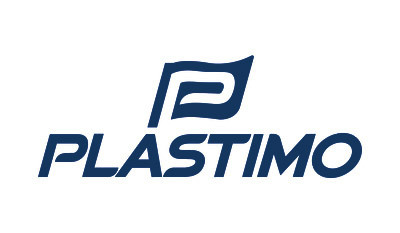 Indispensable complement to an inflatable lifejacket or safety harness, to prevent Man Over Board. 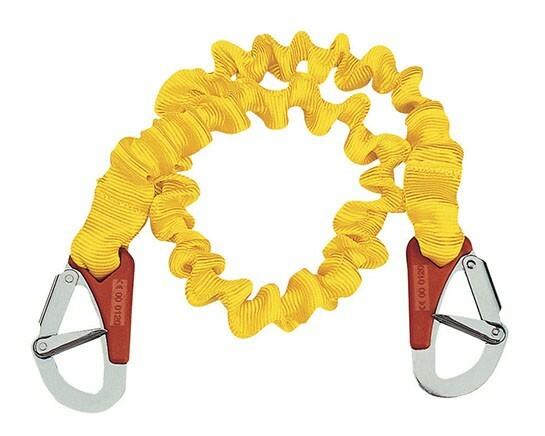 50 mm wide webbing and double action safety hook(s). 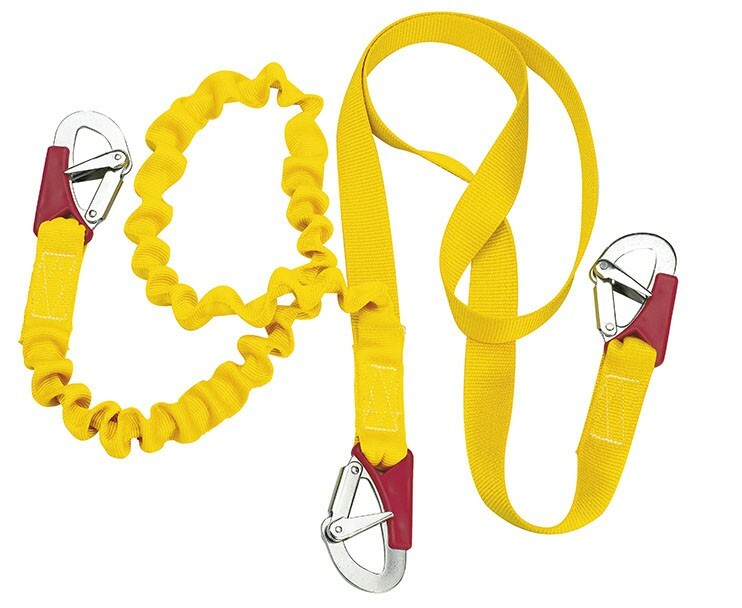 A tether is the indispensable accessory which makes an inflatable lifejacket a fully featured safety equipment. Provided of course, that you have originally selected a lifejacket with integrated harness : the only version providing the adequate resistance and featuring a stainless steel triangle to secure the tether. When using a harness in conjunction with a tether, it is essential to check that both the harness and the tether are designed to the same standard, and specifically to the same breaking strain level. The breaking strain is defined by the original standard, but also by the age of the harness or tether : the ageing and general condition of the webbing impacts negatively its level of performance. • Number of lines : a double tether has 2 lines. It enables you to remain clipped as you move about the deck. • Number of hooks : there is not systematically a hook at both ends ; the tether can be attached to the harness via a webbing loop (see photo : tether ref. 31558). • Length of lines : standard length is 2 m. In the case of a double tether, the 2nd line is reduced to 1 m so that you can clip yourself on a shorter length. 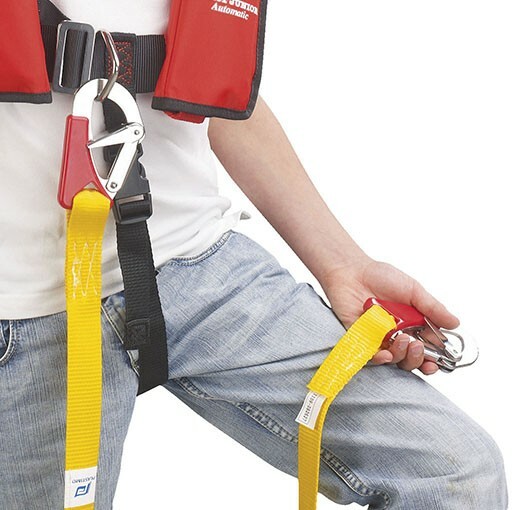 The very principle of a harness is to prevent a man falling overboard and being dragged ; one must therefore be clipped on a short length, as often as possible. Tethers on children harnesses are shorter. • Elasticity : this tether stretches out when needed and contracts when not under tension, which contributes to a greater freedom of movement and improved safety, as it is kept short and tidy to prevent accidental snagging. The elastic tether is the obvious choice for yachtsmen who wear their harness regularly.